Crawford: I’m The Best Boxer in The World – Hands Down! 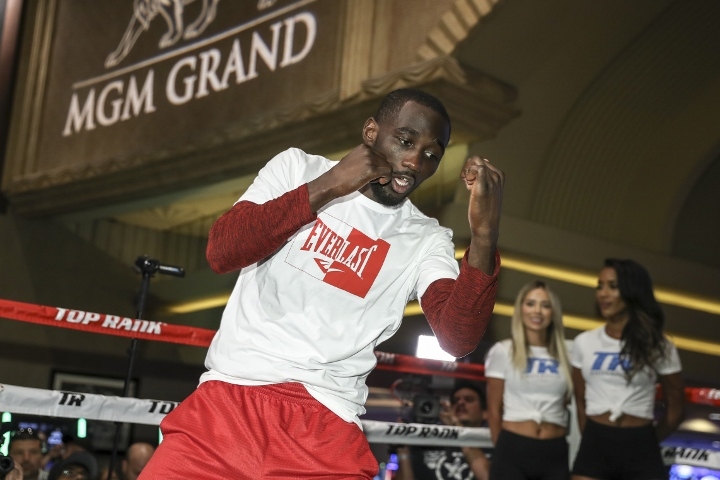 WBO welterweight champion Terence Crawford firmly believes that he’s the best pound-for-pound boxer in the world, in the wake of Vasiliy Lomachenko’s bruising performance on Friday. There is a growing debate regarding the top pound-for-pound spot in boxing – with many experts tabbing either Lomachenko or Crawford in the top spot. Both Crawford and Lomachenko are three division champions. Crawford explains why he strongly believes that he’s got a deep grasp on the top spot. “I am the best boxer in the world – hands down. I can box at range or fight close up, whatever’s needed. I can box equally as well on the back foot or the front foot and I have very good sideways movement. I’m a southpaw who is just as comfortable when switching to orthodox,” Crawford told Daily Mail. “‘I am not taking him lightly. He is a very good boxer who I rate as one of the best in the welterweight division. He is very fast, knows what he is doing in the ring and has not lost at welterweight. We have taken every precaution in our preparations. We will bring all that down a little now. Become more focused in order to prepare mentally for the fight. Another psychological adjustment will come on Saturday morning,” Crawford said.